Today I was glad to just be at home and baking. We’ve been quite busy at weekends recently so it was nice to be home with nowhere to go for a change. While I prepared a filo pie for lunch (recipe coming soon! 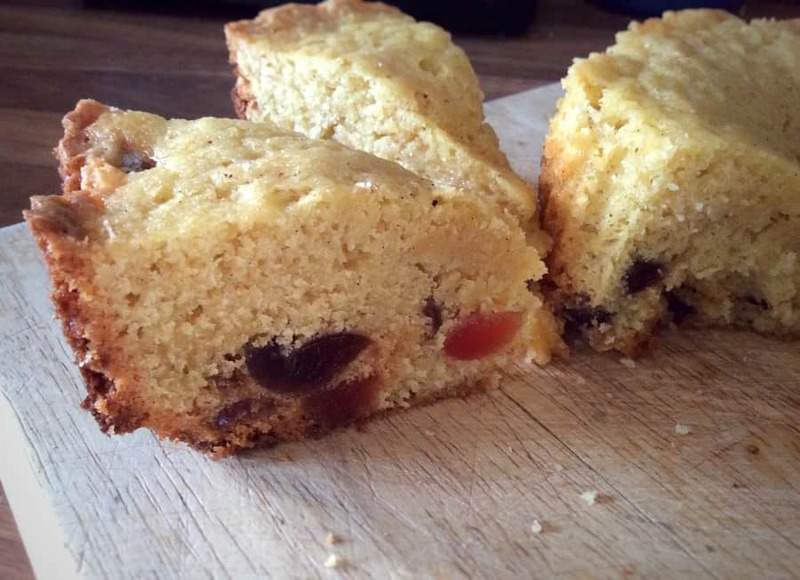 ), I also managed to throw the ingredients for a quick slow cooker cherry cake together. I’ve had a couple of tubs of glacé cherries in my kitchen cupboards for a while now, so this was a great way to use them up! 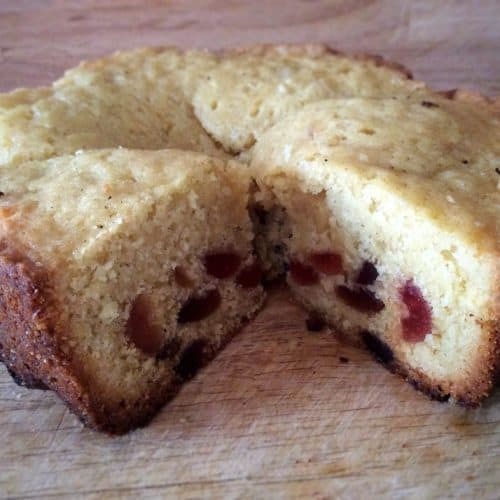 Cherry cake reminds me of tea times with my grandparents when I was little, it has those lovely homely connotations from childhood. This is really easy to bake, and of course making it in the slow cooker keeps it nice and moist. 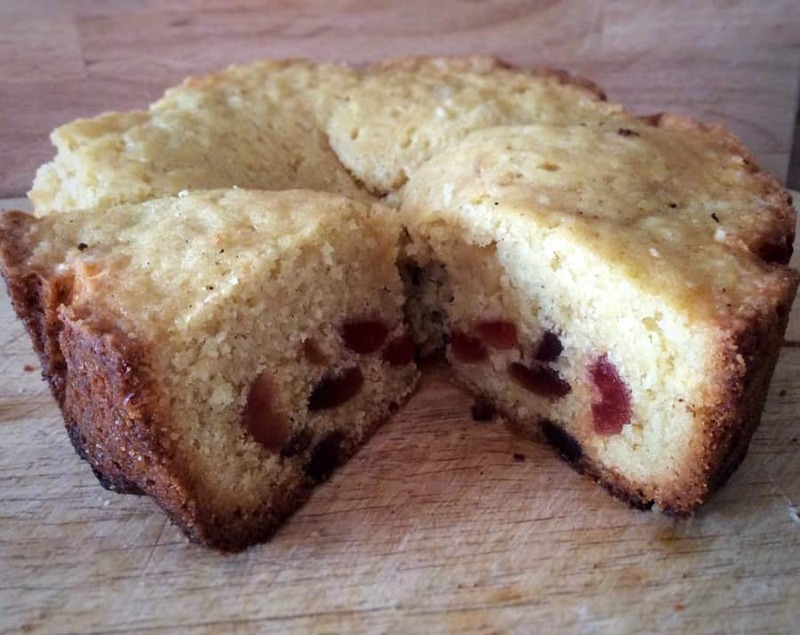 Like all of my slow cooker cakes, this slow cooker cherry cake could be made in the oven too. The cake was simple but delicious and scoffed in no time at all! You could also bake this cherry cake in an oven of course, i just like the convenience of making it in the slow cooker. Cream together the butter and the sugar until it is light and fluffy. Beat in the eggs bit by bit. Toss the chopped cherries in the extra flour, keeping a few aside to put on the top. The flour should stop the cherries sinking to the bottom, though you can see mine did sink! Add the dusted cherries and the vanilla bean paste to the mixture and stir in gently. Line your slow cooker pot. You can either use baking paper or a large cake tin case. I used two cake cases to prevent burning. Place the cake mixture in the lined pot, and use a spoon to smooth the top. Scatter the remaining cherries on top of the mixture, and press them in gently. 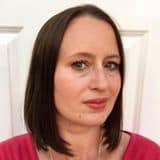 Place a tea towel under the lid of your slow cooker, fold up the edges of the tea towel so they aren't hanging down, then put the lid on the slow cooker. Cook on high for 1.5 hours, or until a skewer comes out clean. As soon as the pot has cooled a little, use the lining to pull the cake out, and leave it to cool on a rack. 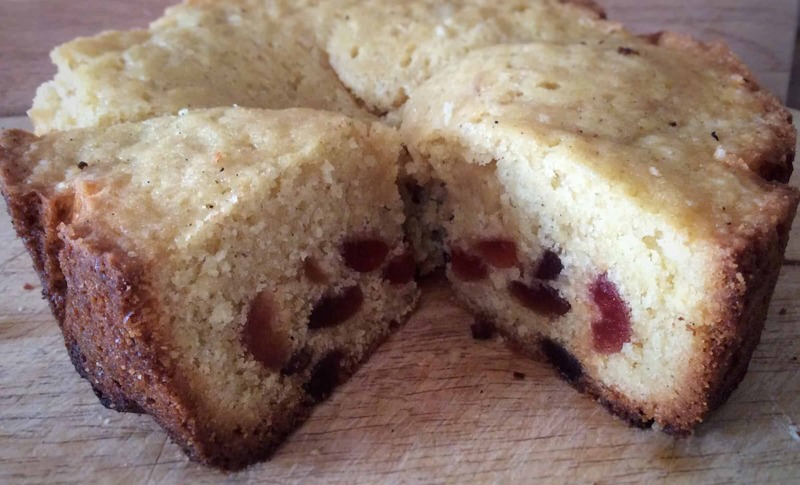 Looks fab – love cherry cake. 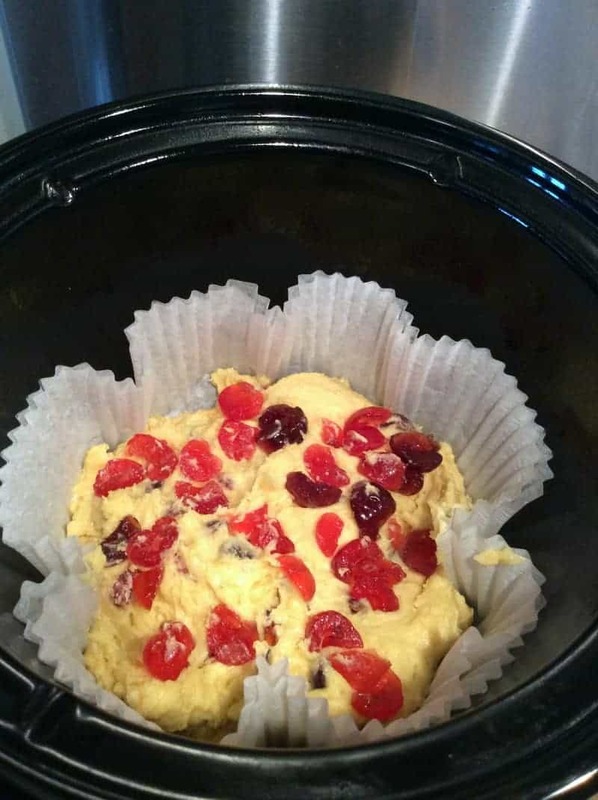 I’m always a bit surprised you can make cakes in a slow cooker! Yummy! This looks so good Lucy! I really do need to use my slow cooker more to make desserts like this. Such a great idea! I’ll have to try cake in the slow cooker. I love cherries and this sounds great. Gorgeous! 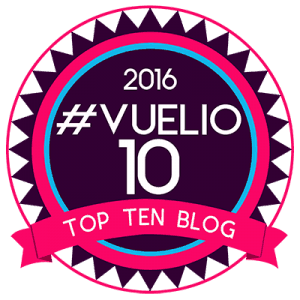 I’ve never tried making a cake in my slow cooker, but you’ve convinced me to give it a go. Sounds lovely!